Size : 8.7 x 13.6 inches. / 22.0 x 34.6 cm. 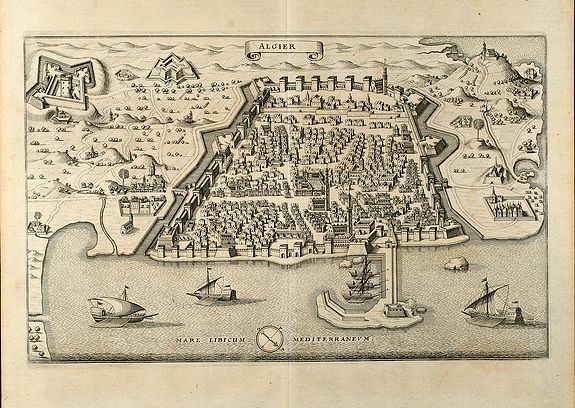 Description :Attractive birdeye view of Algiers in Algeria from Matthäus Merian. Showing the city with city walls, outlying forts and several ships in the harbour. From J. Gottfried's "Neuwe Archontologia Cosmica".